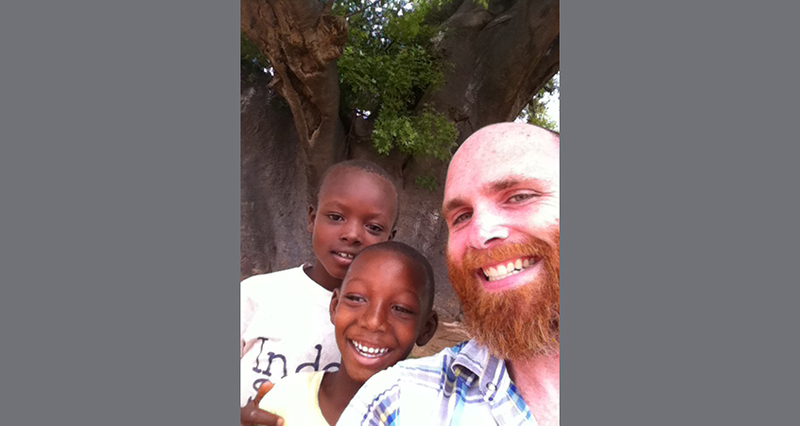 In June 2013, I packed a bag and trekked with members of the OCP family and CRS staff to the country of Ghana, Africa. We went to see and to learn. We went to be inspired and to be changed. I'd like to tell you about the most dramatic change that has been happening in my heart because of those sacred days in Ghana. When I was growing up, it was easy to think of the world as "us" and "them." It didn't matter who "they" were - blacks, Hispanics, people who lived on the other side of town, drove different cars, listened to different music, went to different schools. They were not exactly like me, and that made them foreign, different, strange. As the song goes, "people are strange, when you're a stranger." Now, I grew up in an African-American neighborhood. Most of my friends were black! But wherever I was, I could draw a line in most any situation and settle myself neatly on my side of it. "This is where I stand, what's important to me, what I believe." We all do this. Perhaps it's the incessant narcissistic remains of childhood still wearing off. Whatever it was, that way of thinking was smashed by the people of Ghana. It didn't matter that I was a "stranger." My plate was full every evening. It didn't matter that I wasn't "from around here." The people of Ghana danced for me, and invited me to join. And in very few words, they taught me a lesson. That really, there is no "us" and "them." All of us desire and deserve the same thing - to be loved, to know the joy of friendship and family, and to experience the presence of God in ALL His forms. One of our most unforgettable stops on our journey was the Elmina slave castle on Cape Coast. It was built by the Portuguese in 1482 and became the hub of the Atlantic slave trade. We walked through its dark corridors and the mood was somber. In this place, it is easy to sense the horror that filled the people's hearts as they were separated from their families and made to stand shoulder to shoulder in the holding dungeons. Without any room to lie down, many Africans contracted terrible diseases due to all the human excrement. Tragically, as many as 30,000 slaves per year were forced to spend time at Elmina before being shipped out West. 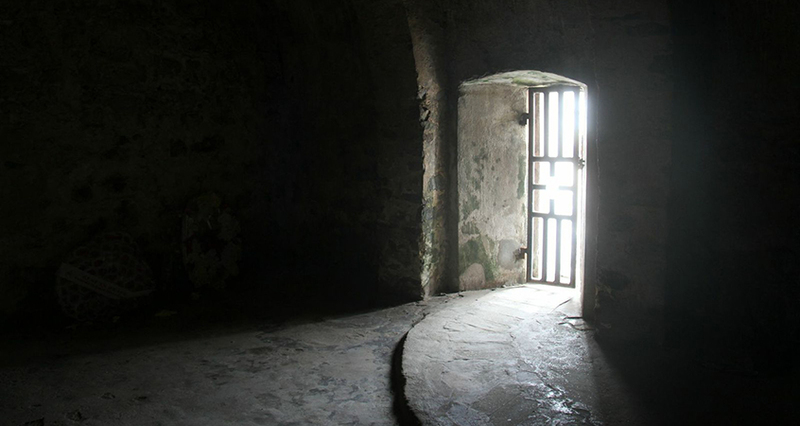 The picture of the prison (above) was taken in the famous "place of no return." This small room held as many as 200 Africans as they waited for the sailing ships to strip them away from their homes. The memory of Elmina castle has scarred me permanently. It is too easy for us who live in the indulgent West to believe that we are immune from suffering. While we will not know the pain of being bought and sold as a slave, we all know the slavery of sin, and the sting of death in a fallen world. As I paced through the grounds of Elmina, I discovered that my own heart is a slave and in need of saving. It has caused me to view strangers, the homeless, the suffering, the rich, the powerful and those who don't share my cultural upbringing in a new way - they are also and in many ways slaves and in need of saving. 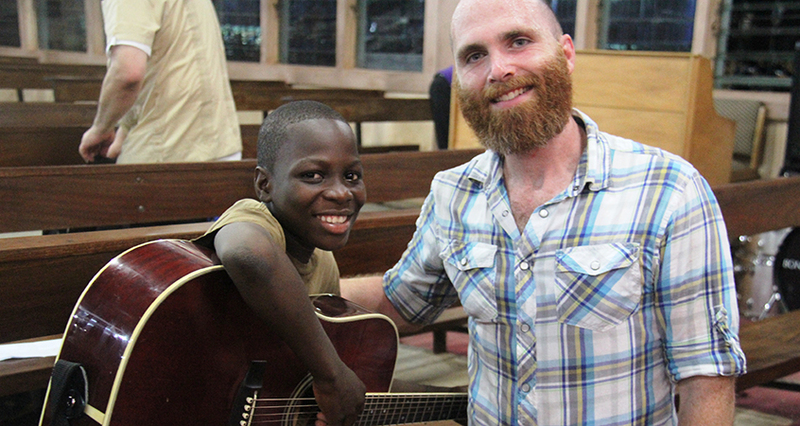 In gratitude for so many lessons learned in Ghana, I turn to writing new songs for the Church. My contribution to the Ghana Project is a song called "A Place At Your Table." When it comes down to it, we are welcome at God's table. Hopefully we will learn how to stop drawing lines in the sand and start drawing strength from each other. 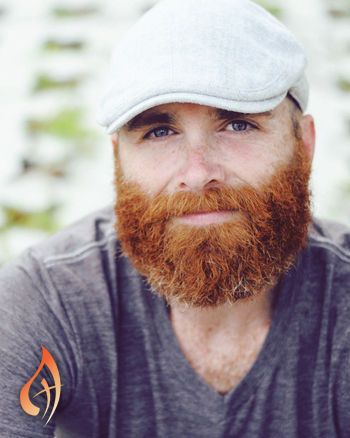 Ben Walther is a singer, songwriter, worship leader, husband and a father. In addition to writing and recording music, he travels across the country leading worship and sharing his gifts with God’s people. In partnership with Catholic Relief Services, seven Spirit & Song/OCP composers went on a goodwill tour of Ghana, praying and singing with people in their communities and listening to their stories of struggle and triumph. This life-changing experience inspired this album of new songs about the social justice teaching of the Catholic Church. The composers will donate a portion of the proceeds from the sale to support the work of CRS.